Death Protector logo shirt, these are being made for our Death Protector Fest! 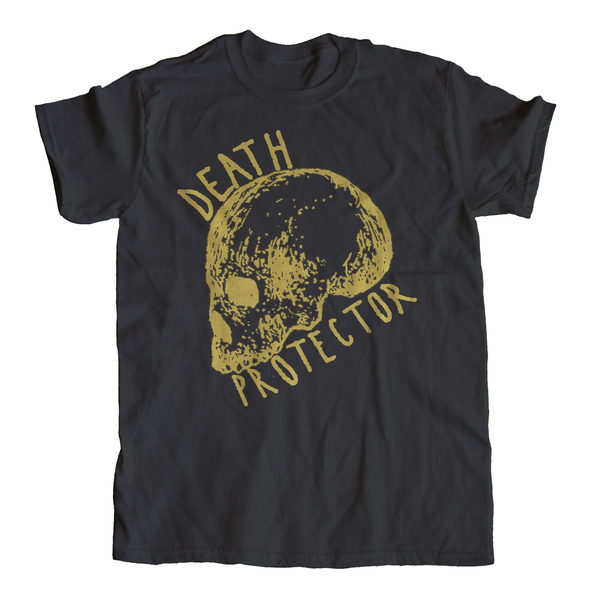 Black shirts/gold ink (not like glittery though). You can choose to either have this shipped to you (won't ship until April! be warned) or you can pick it up at Death Protector Fest for free. Just swing by our merch table and we'll have it waiting for you.